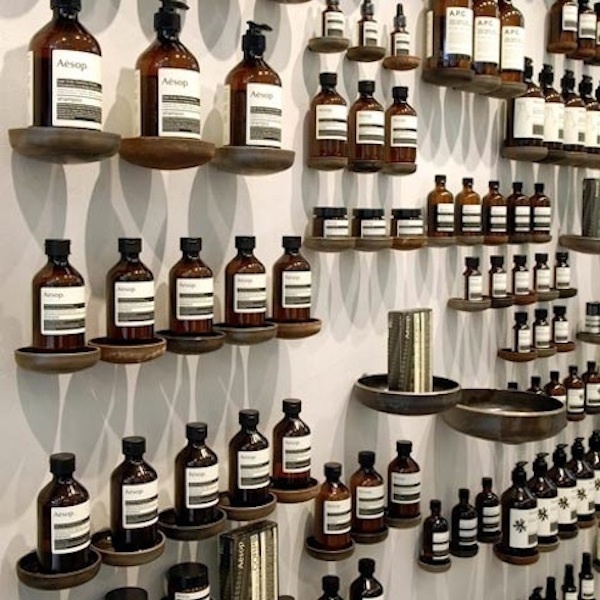 This product distinguishes with its quality and representation. 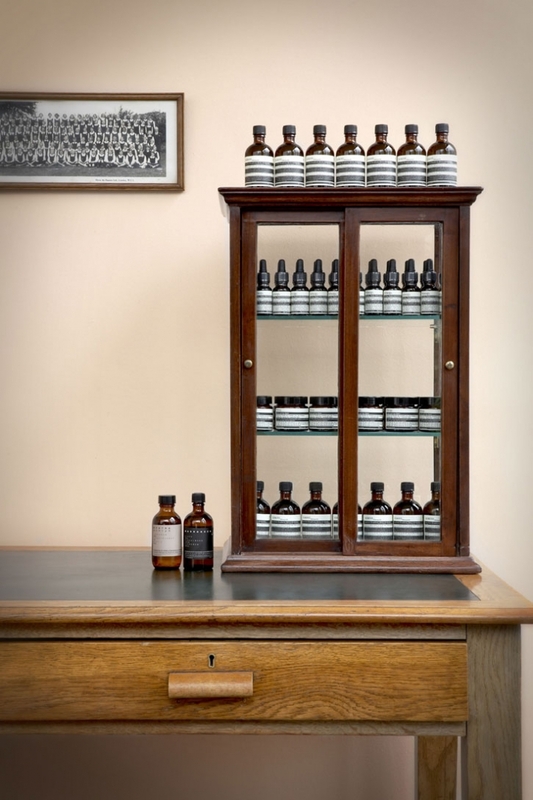 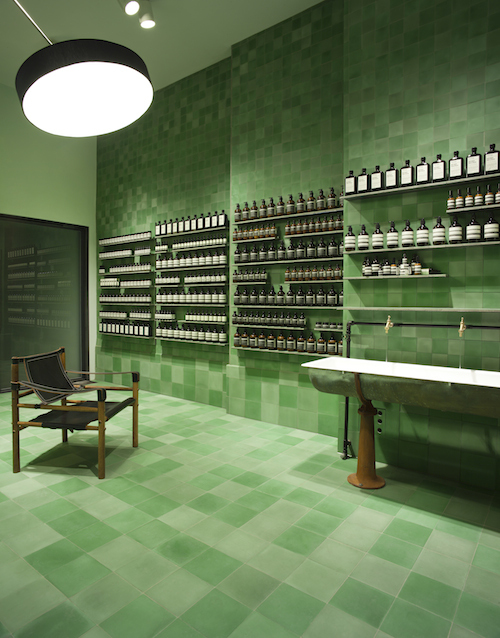 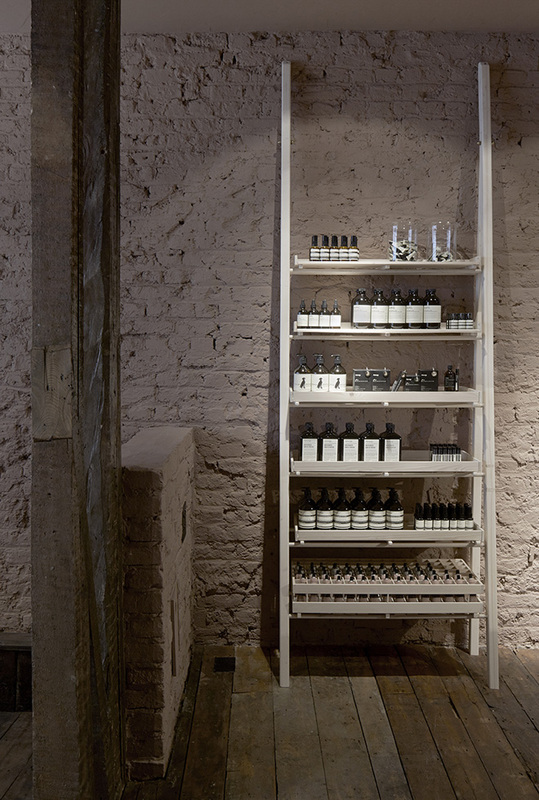 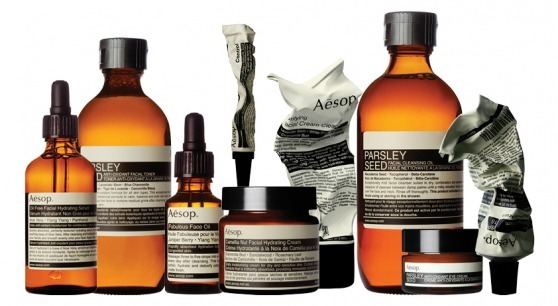 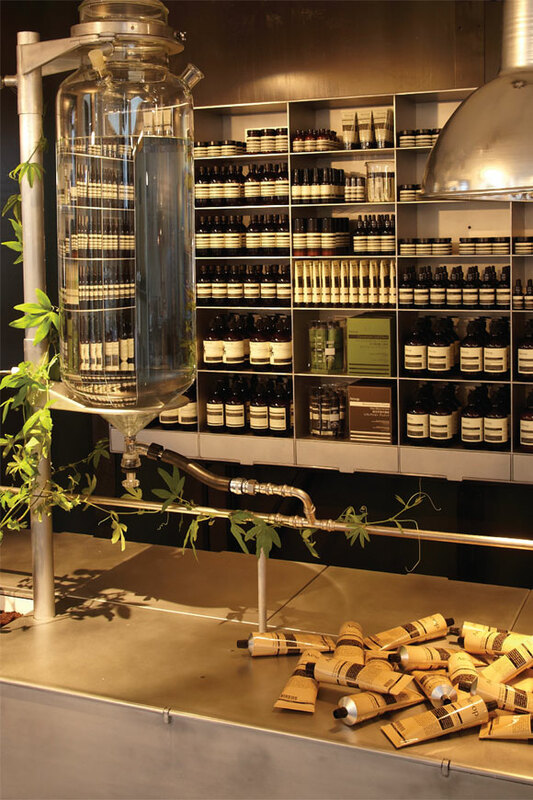 Aesop – an Australian body care product, founded in Melbourne in 1987, distinguishing with its quality and representation. 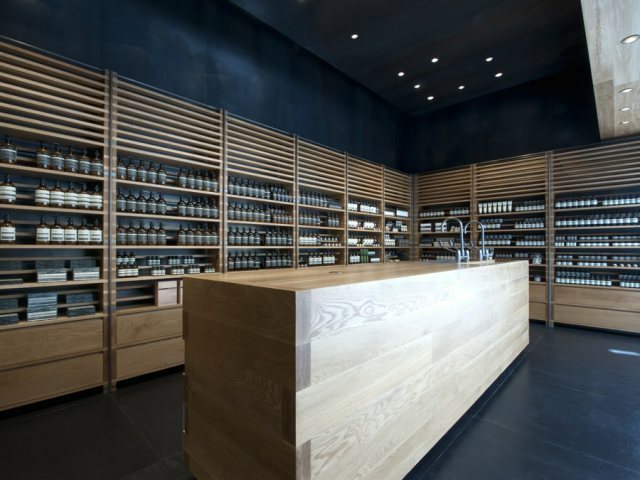 Each store (which are set in a whole world), offering this production, distinguishes with its distinctive interior and solutions. 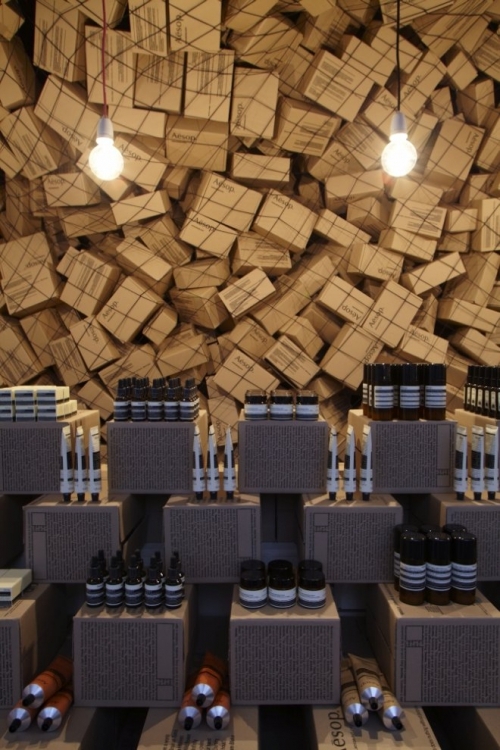 Hundreds of bottles have to be exhibited, but it’s already a designer’s work how to make it in more beautiful and comfortable way. 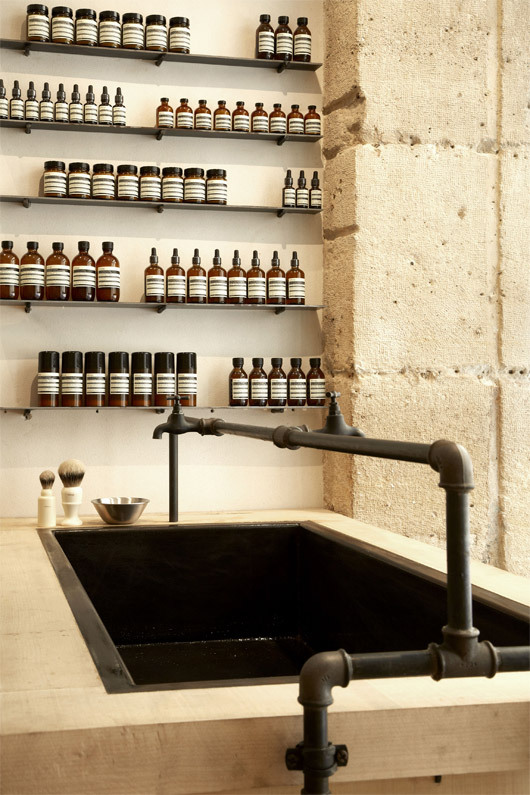 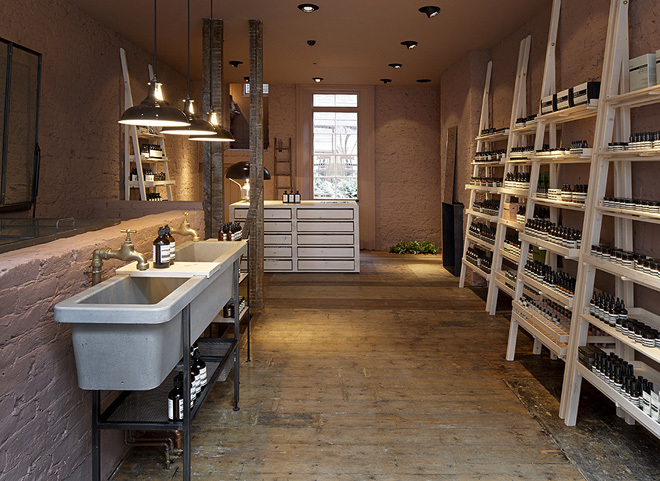 One more feature of Aesop shops is noticed – a washbasin/sink which is usually combined with copper faucets, is obligatory. 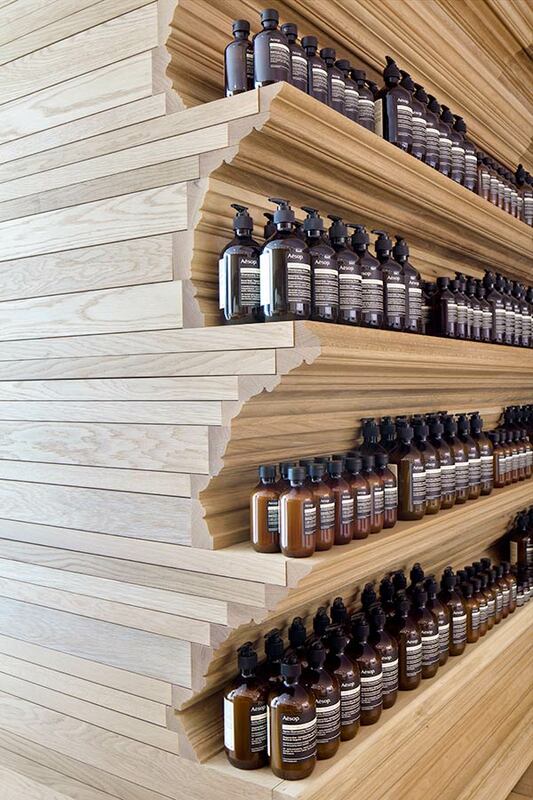 It’s loved to use a lot of wood, colors white and black (with some exceptions). 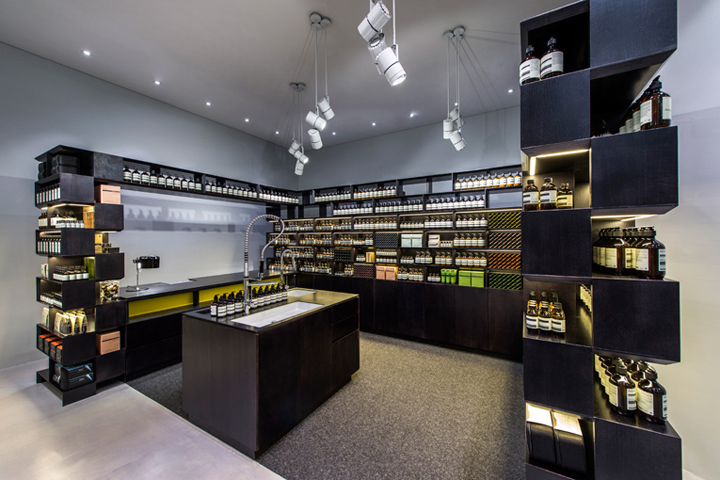 It’s a quite strong sign of identification – as, for probably everyone else, black paper sacks and black interior associates with a shop store Mango, those bottles – with Aesop.